Quick video tutorials with tips and tricks for getting the most out of AAMS. These walkthroughs are perfect for visual learners who would rather watch a video than read a manual.The Video Tutorials Page offers all Video's about AAMS. From beginner starting with AAMS, tips to intermediate and advanced audio mastering techniques. 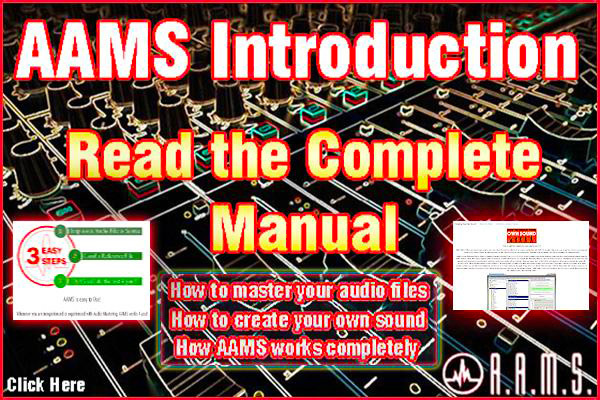 Learn to use AAMS features step-by-step. 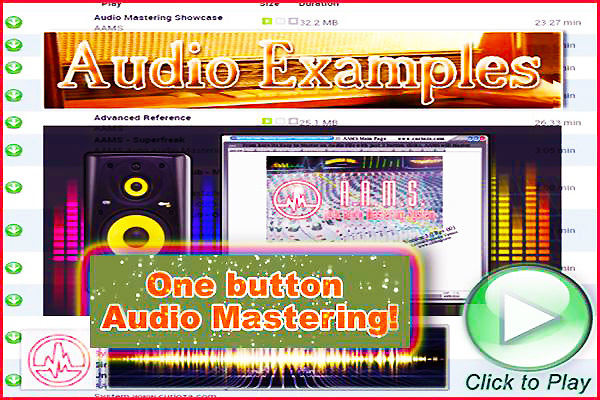 Learn to do Audio Mastering with AAMS easy and fast. Learn how to use the Database of References and Presets. Learn how to create your own sound. Tutorials are from AAMS and from users that made a video on Youtube or are found on the net. Sure there is a lot to watch and find out about AAMS!